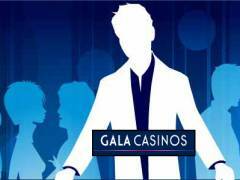 The Gala Casino in Leicester could be found on Highcross Streeet and offers a fantastic casino experience complete with a fun atmosphere, exciting gaming, fantastic food and great drinks. You are spoilt for choice in terms of gaming options with twenty two tables that offer American Roulette, Blackjack, Three Card Poker, Three Card Brag and more. Choose from 98 electronic Roulette terminals that offer wagers as low as 10p up to £100 per number and 20 slot machines with £4,000 jackpots. The Poker Magic zone runs hosts a range of tournaments for all levels of players and also hosts 'learn to play' sessions with no cash at stake. High rollers can play in the Salon Privee which offers games with large prizes. Take a break from all that gaming and relax in the Coral Lounge. Watch the latest sporting action on Sky and Setanta as you sip a chilled beer. Facilities include disabled access and free parking for members. Membership is free at the Gala Casino for everyone over the age of 18. The dress code is smart casual and sportswear is not allowed. The casino is open 24 hours a day, 7 days a week. The Chargrill restaurant has an extensive menu of delicious dishes from premium aged Scottish steaks through to fish, salads, curries and burgers. The restaurant has an extensive wine list that includes wines from all over the world. Try authentic Indian cuisine on special Bollywood nights complete with top class DJ, dancers and a 3 course meal. The 18 Below Ice Bar is a state of the bar offering a vast range drinks and is a great place to meet up with friends. The cocktail list is endless and is great value for money. Celebrate your wins at the Epernay Champagne Bar Epernay Champagne Bar with an amazing range of Moet & Chandon champagnes.